No matter where you live in the United States, there is always the chance of a natural or man-made disaster. From floods, earthquakes and tornadoes to blizzards, hurricanes, fires and more, every region of the country is vulnerable to a catastrophic event. June 1 marks the beginning of Hurricane Season. Here in Florida, officials and media are relentless in driving home the importance of having a plan in place. They stress how much easier it is to do this before there is an actual disaster in sight. This is also true for pets. Imagine how much easier it will be to simply grab a ready-to-go bag with all the supplies your pet will need should you need to evacuate or become stranded for days. Make sure your friend or family member understands your pet(s) will be with you. Find out their pet policy NOW. Many accept pets, however they are housed in a different area than their humans. Most shelters require proof of vaccines. Know which chains welcome pets, which pets they allow and if there are any restrictions. There are some excellent online guides like this one from Hotel Guides. Freeze-dried foods are great for this – lightweight and easy to prepare (just add water). I recommend incorporating freeze-dried foods as part of your pet’s regular diet. Wound Care from PetzLife and Dr. Harvey’s Healing Cream are excellent choices as they are great for dogs, cats and humans, too. For lining carriers, using in hotel rooms, protecting seats and floors in the car, etc. Kitty’s Wonderbox is a great box option. It is sturdy and completely biodegradable. Gentle, fragrance-free grooming wipes by Earthbath are fabulous for cleaning paws, mouths, fur, etc. In addition, have carriers ready to go. Make sure they are clean, lined with puppy pads and towels. 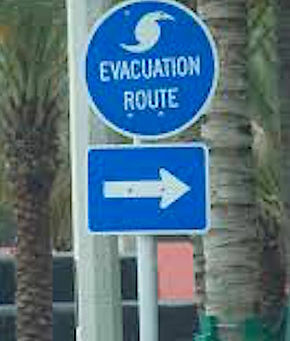 Keep in mind that evacuation is not always an option. Many disasters cannot be predicted. It is still important to have plans and protocols in place. After a major event it is common to be stranded or without basic services for days or weeks at a time. Having the proper supplies on hand (for your pets and you) will ease some of the stress. The AVMA offers an excellent guide. While we cannot plan for every scenario, we can do our best to ensure our pets are fed, hydrated, safe and comfortable.